The latest kitchen connoisseurs to set up shop in Laguna are bringing a fresh approach to an already impressive dining scene. The city of Laguna Beach boasts many enviable characteristics. From the obvious (like the stunning coastline and perfect weather) to the hidden gems (such as the historic cottages and scenic hikes), our seaside town is known for having the best of pretty much everything. Added to that sparkling reputation are the numerous new eateries that have arrived on the scene this year. From the high quality yet casual Slapfish, which sits steps away from the Main Beach boardwalk, to fine dining in the canyon at Ivory Restaurant & Lounge, there is no shortage of options to satisfy even the most discerning palate. Making this diverse culinary scene possible are the masters of the kitchen—the chefs whose talents have led them (or led them back, in some cases) to Laguna Beach. 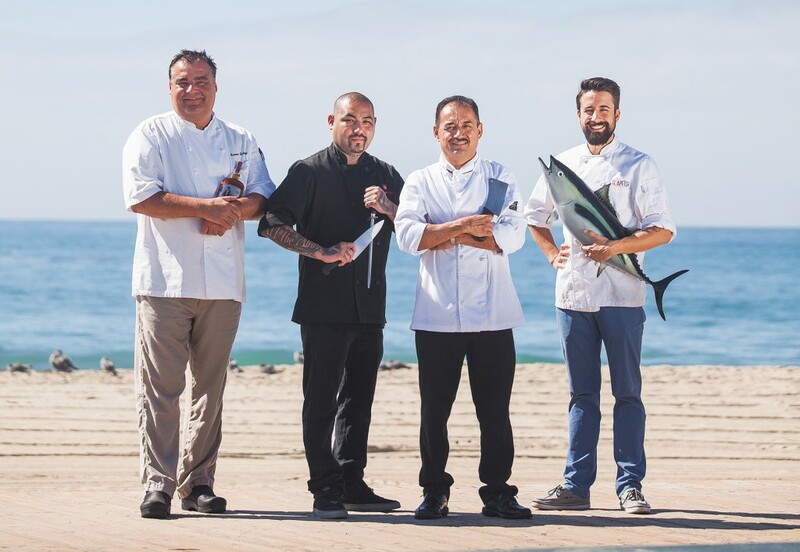 Through their varied backgrounds and distinct specialties, there is one consistent trait found in all of Laguna’s newest chefs: They couldn’t be happier to be here. 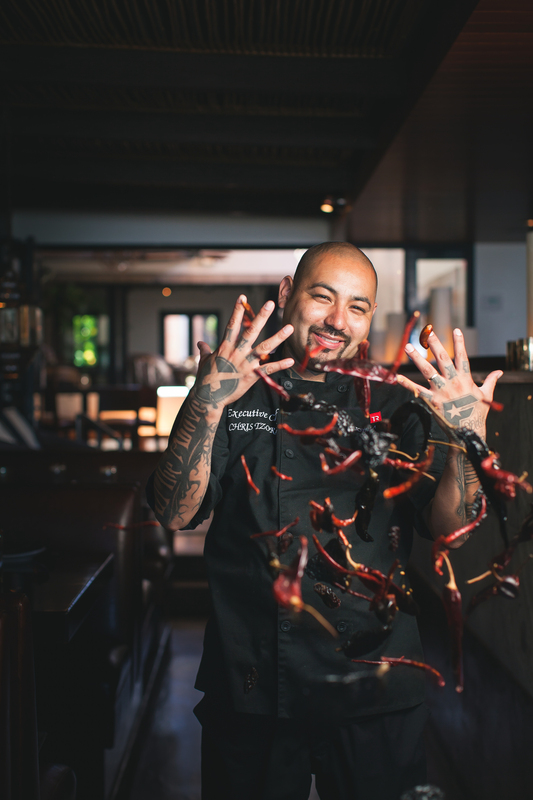 For Executive Chef Chris Tzorin, joining the team at Tortilla Republic’s newest location was almost like a homecoming. The Southern California native grew up in kitchens in and around Laguna Beach, following in his father’s footsteps to become a premier chef—but not without some initial persuading. As for the cuisine, Chris and the owners are all equally determined to maintain the quality and freshness of the food they serve. Diners at Tortilla Republic can be sure that the ingredients used in their food are, as Chris says, “the real deal.” The ingredients contain no preservatives, meats are antibiotic and hormone free, and produce is organic whenever possible. In addition, a large number of items on the menu are gluten free, and Chris takes great care to accommodate those with food allergies or special dietary restrictions. This health-conscious approach fits in perfectly with the Laguna clients, and with Chris’ ideals. “I’m very proud to be here and to be serving a good product [that is] very healthy, too,” Chris shares. Overall, the folks at Tortilla Republic recognize the quality of Laguna’s growing dining scene and strive to be an equally strong addition. And with Chris leading the kitchen, that won’t be a challenge. When Andrew Gruel was living and working in his native New Jersey, he never imagined that he would end up on the coast of sunny California, let alone operating a chain of sustainable seafood restaurants with locations stretching from Laguna Beach to Dubai. But that is just where the chef and owner of Slapfish finds himself today, successfully maintaining a growing franchise that began as a simple food truck. Without the money for a stand-alone restaurant right off the bat, Andrew (with a business partner) launched the Slapfish food truck in 2011. There, he perfected his recipes and earned the following and capital to support his first brick-and-mortar store, which he opened in Huntington Beach in 2012 followed by the Laguna location in 2014. 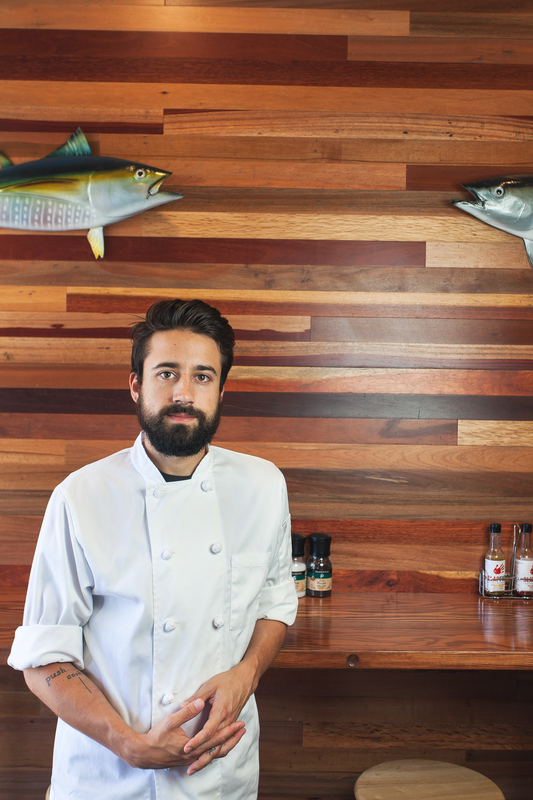 Though Laguna wasn’t the original home of Slapfish, Andrew knew he wanted to open in this seaside town from the beginning. “It’s a very ocean-friendly city. … It was really just about connecting with a community that understands the need for responsible choices and how what we choose and what we eat affects the ocean,” he says. Andrew also understands the need to bring something new to this community. 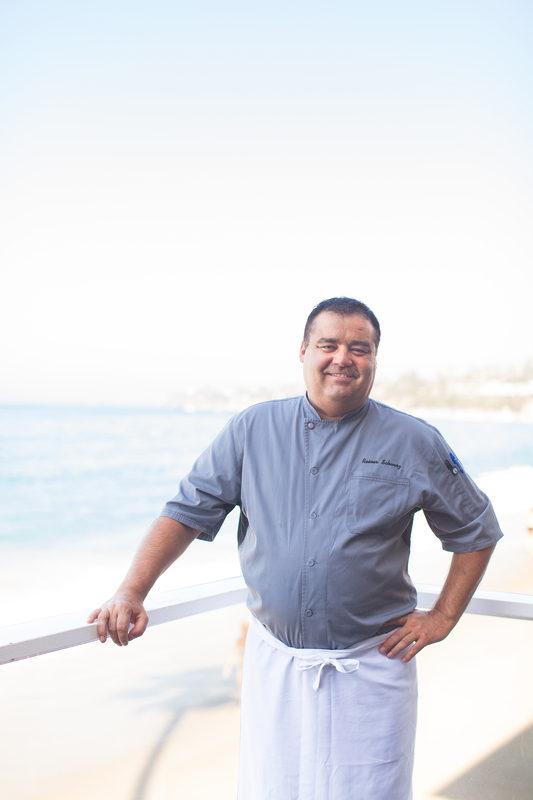 “Laguna has some really great options for full-service, sit-down seafood,” Andrew says. “The last thing we want to do is be a part of saturating the market.” To avoid this, Slapfish tweaked its model specifically for Laguna, opting for a more casual, “grab ’n’ go,” beach-shack feel without sacrificing quality. 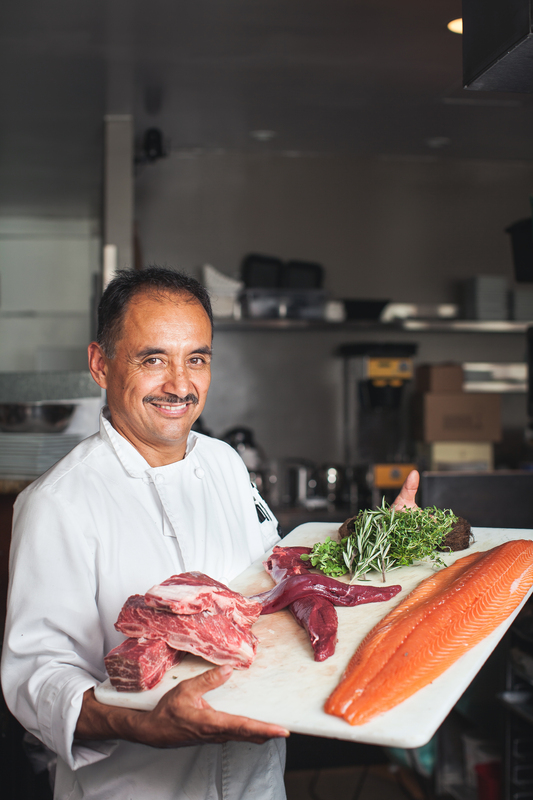 Prior to becoming the executive chef of Ivory Restaurant & Lounge, chef Abel Gonzales was eager to share his plethora of knowledge and signature style with the sophisticated palates of Laguna locals. So much so, in fact, that he sought out the restaurant owners the second he heard they were hiring, before they had even placed an ad. “I called [them] up and said, ‘I understand that you’re looking for a chef,’ ” he laughs. With a resume that spans kitchens from Palm Springs and Las Vegas to rural Texas and Dana Point (and includes experience with French, Italian, Mexican, Thai and other cuisines), it is no wonder that he was hired almost immediately, or that reviews of his talents in the kitchen thus far have been overwhelmingly positive. But, it is Ivory’s owner, Marsha Benson, who sings the chef’s praises the loudest. “He was looking for a home,” Marsha adds. Luckily for Laguna diners, it seems that he has found one. As the team behind the wildly successful new eatery, Driftwood Kitchen, Executive Chef Rainer Schwarz and Director of Operations John Nye know a thing or two about running a restaurant together. In fact, the duo also helm The Deck on Laguna Beach (downstairs from Driftwood Kitchen) and have worked together for years, first meeting when involved in a project at Disney’s California Adventure theme park. After celebrating the one-year anniversary of The Deck, which boasts a casual, “just off the beach” atmosphere, the business partners and best friends couldn’t have been more excited to have opened their second Laguna Beach establishment. To contrast the feel of The Deck, John’s vision for Driftwood was a bit more sophisticated, but still California casual, and there wasn’t anyone that John trusted more than Rainer to craft the perfect menu to complement the new look. For example, at a recent employee tasting, one of Driftwood’s bartenders began raving about the delicious hamburger he’d been served and asked Rainer which seasonings he had used to make it taste so good. Rainer’s answer? Salt and pepper. With so many great plates on the menu (standouts include the crispy squid ink and uni-topped oysters, as well as the whole-fried Texas redfish that serves up to four), the chef finds it difficult to name just one favorite. But the duo are certain of one thing: We will be seeing more partnerships from them. “We will keep going as long as we can,” John says.